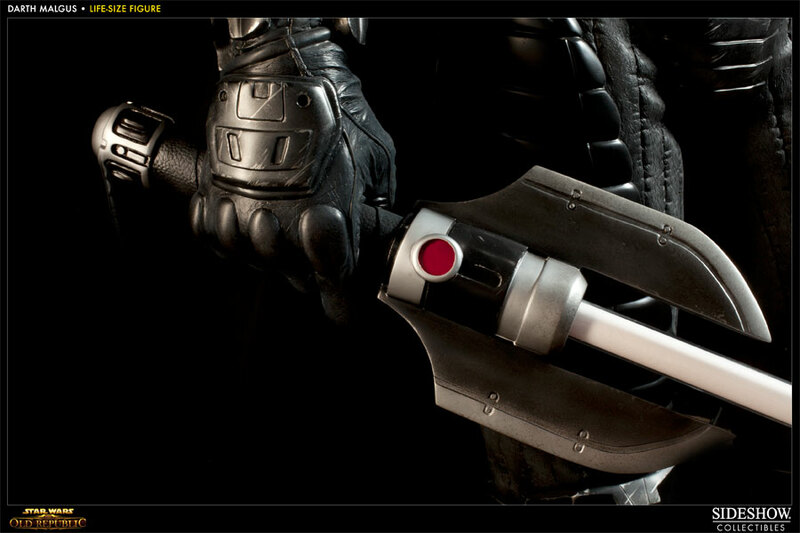 Normally it would take a lot of time and effort to drop $6,000 on video game memorabilia. 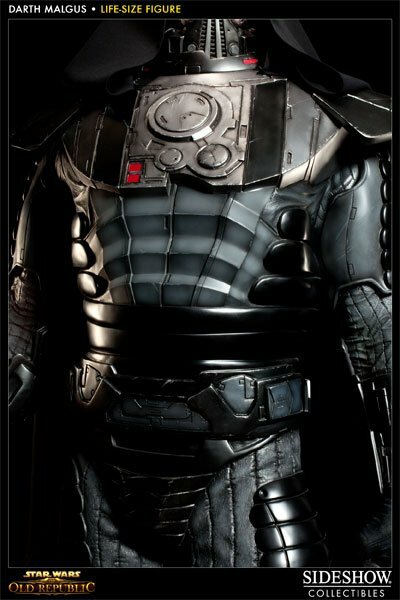 However, you can lose all that money in one fell swoop by purchasing a life-size statue of Star Wars: The Old Republic character Darth Malgus. 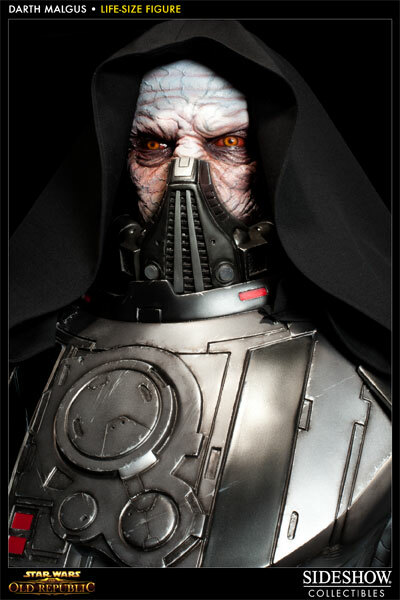 Malgus is one of the most prominent characters in Old Republic. 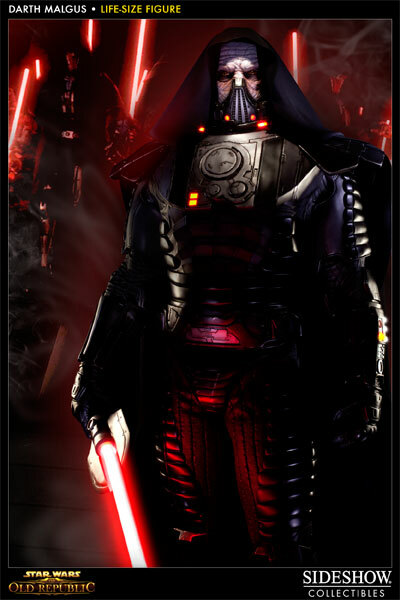 He's a Sith Lord who helps command the forces of the Imperial Army. He's typically the character providing briefings for Sith characters before they embark on Flashpoints. Eventually players of both faction get to fight him as well. 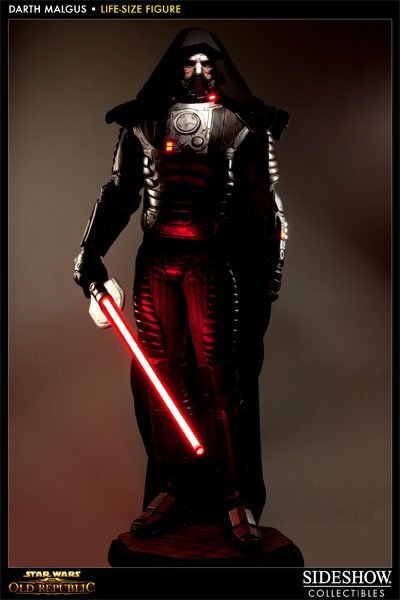 "Capturing the vicious Sith Lord of The Old Republic in startlingly realistic 1:1 scale, the looming figure measures over 7 feet tall and more then 3 feet wide. 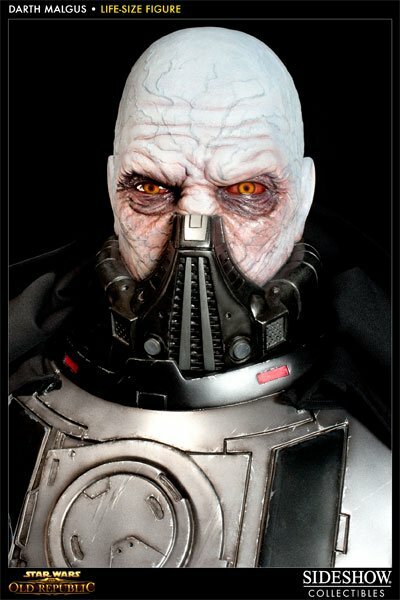 Each piece is individually hand painted and finished to exacting standards, the trademark of a handcrafted Sideshow Collectibles product," says Sideshow. 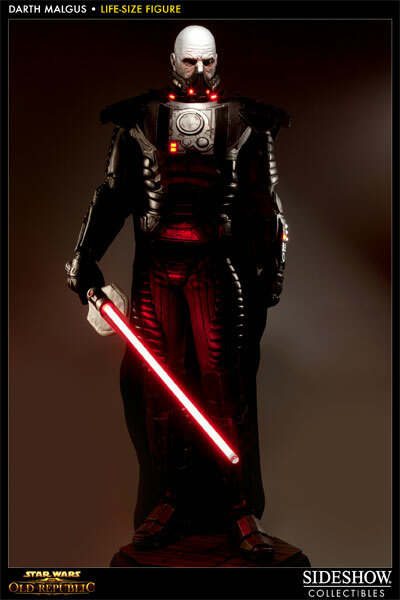 "Featuring a light up saber, LED light up components in the chest, collar, and wrist gauntlets, highly detailed armor, and a real fabric hooded cape; the Darth Malgus Life Size figure makes a spectacular addition to any collection." The statues will ship in July. Sideshow requires you to put down a non-refundable deposit of $1,200 that will be charged within two days of your order. 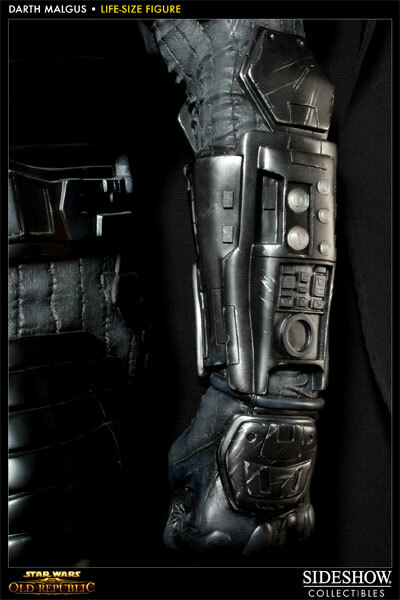 Fine details like this might be unnecessary because I doubt any of you will buy one. There you go, though.